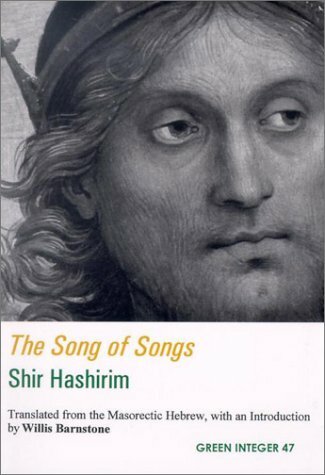 One of the great collections of love poems the world has known, "The Song of Songs, " which appears in the Old Testament, has, over the years, been the focus of much speculation. Who could have written these incredibly sexual lyrical poems. At various times Moses, Solomon, Isaiah, David, and Daniel have been suggested as the author of these works. Noted translator Willis Barnstone argues, in his short introduction, that Biblical scholars have generally dismissed all of these possibilities. Whoever the author is, woman is central in these stunningly powerful poems.